In the fall, our director offered to buy any library that wanted one a 3D printer. 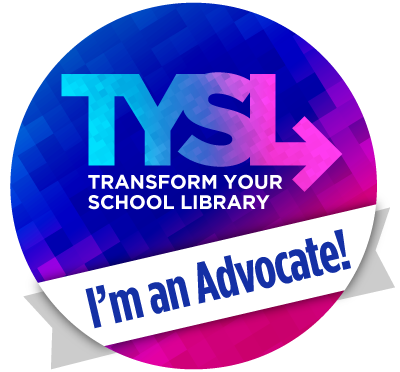 Many of the elementary librarians asked for one. I did not. Like with the makerspace, it was not something that I could wrap my head around using at the elementary level. One of my librarian friends and I pinky-swore that we were going to hold out and not get one... until she did - uggg! I didn't want to be the only one left not doing it, so I also asked for one and very quickly received the Afinia 3D printer in January. You can read about my process of familiarizing myself and a few students with it here. When I first got the printer I asked my Twitter PLN what people had done with printers at the elementary level and while some replied back with printing pieces of games and math manipulatives, one reply caught my attention. Anna Crosland (@crosland_a), the teacher-librarian at Georges-Vanier Library in British Columbia, replied back with this blog post about a project they had done making braille classroom labels for their school to help a blind student find the right areas of the school. I loved that this was a real world printing problem. About the same time that this happened, our science lab assistant was moving her husband to the Crisis Cole Rehabilitation Center for the Blind in Austin, Tx. He had suddenly lost his sight in both eyes last year from Retinopathy. They had tried a few procedures to correct it, but nothing worked. He was going to be spending from Jan-May in Austin learning skills to help him cope, become independent and employable. I was so touched by how optimistic and encouraging our science assistant, Michelle was about the situation. 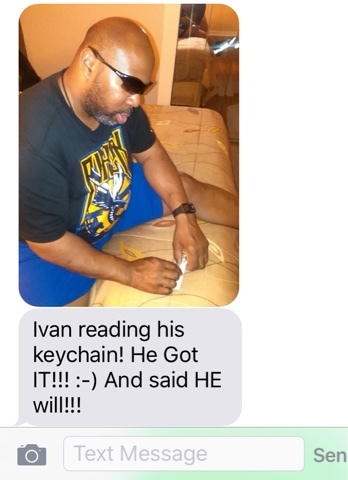 It was not easy, but she would never let Ivan, her husband, give up. The week of Valentine's, Michelle came to me and my assistant and asked us to help her make a Valentine card in Braille for Ivan. He was learning Braille and she wanted to make him a card. I googled the Braille alphabet and my assistant set to work trying hot glue and regular glue drops to see which might set better. Michelle made the card and Ivan was so happy her could read it! That got me thinking about Anna Crosland's project again and how I had been practicing using the 3D printer by making keychains. 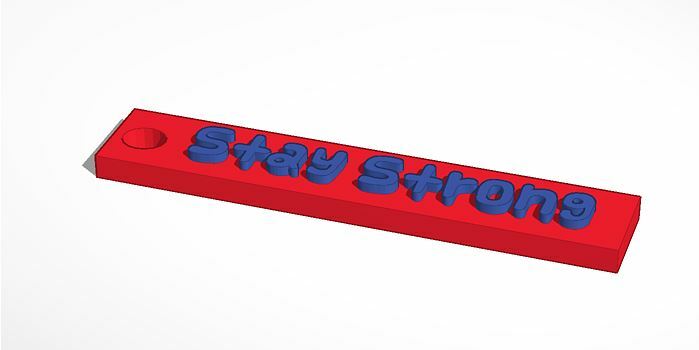 I decided that I was going to make Michelle a key chain that said "Stay Strong" and I was going to make Ivan one that said the same thing in BRAILLE! Well, Michelle's keychain was easy. The Braille on the other hand... I again googled and found specifications for the braille alphabet. Each dot has to be a certain distance from the other dots. So I set out to create a Braille cell in tinkercad and then once I felt like I had the measurements correct, I copied and pasted the full cell for each letter I needed on the key chain and removed the dots I didn't need. I gave them to Michelle and told her that I hoped that Ivan's said "Stay Strong" but I really had no idea. She laughed and said that she wouldn't tell him and she would make him read it. She texted me this that weekend. When she came back to school on Monday, she was so excited and said that Ivan had loved it and she wished we could make them for all the residents at the center. I just laughed. When I told my director about the keychain, she also said that I should have students make them for all the residents and again I laughed. It was very tedious getting the braille cell spacing correct and I didn't know how I would do it with kids. My director kept bugging me about it - ok, not really "bugging", but she kept bringing it up. I told her fine, I would do it, but I needed our technology person to come out and figure out the logistics with me. She came out on a Monday, we sat and figured it out for about 3 hours and I started the project with some 5th graders on Tuesday.